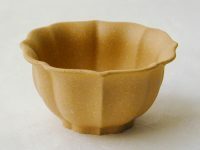 A classic teacup design from Japan and China, lidded cups are designed to keep tea warm, allowing you to take your time while enjoying the brew. 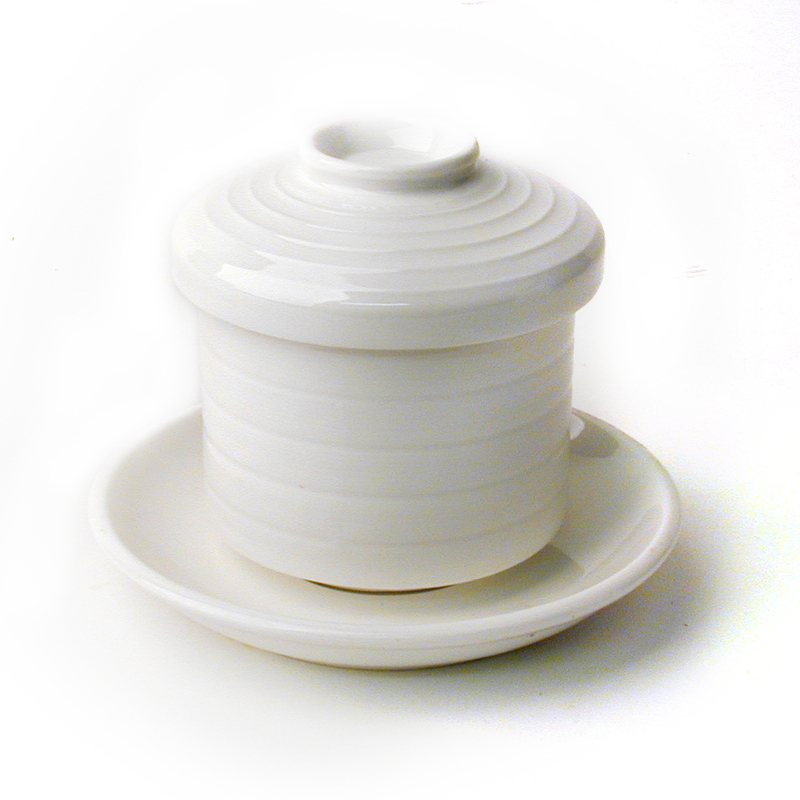 This lidded teacup has a smooth, easy-to-clean glaze and is dishwasher safe. 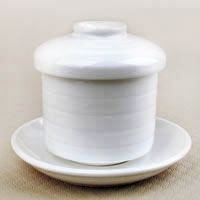 White color with a ‘Zen line’ pattern on the body of the teacup and lid. 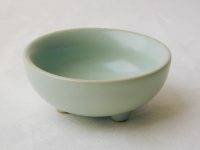 Set includes a serving saucer.